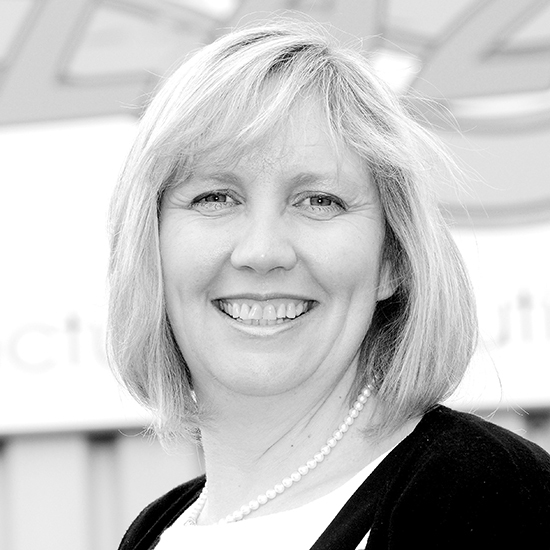 Laurencekirk-based Blaze Manufacturing Solutions is a true Scottish offshore oil and gas industry success story, but co-founder Ann Johnson says there were turbulent times when the family business could have collapsed. The 2016 downturn in the oil and gas sector hit us hard, but we are proud to say that not one job was lost and we came out more resilient. When a major oil and gas company needs to ramp up its fire-safety protection systems, chances are it will call on Blaze. Since 2006, the company has been providing consultancy and design, and implementing cutting-edge fire-suppression systems. Husband and wife team Howard and Ann Johnson started the company in 2006 in their summer house. Howard had spent 20 years working for large-scale energy companies and felt unchallenged. Blaze was born from a desire to drive innovation and bring new ideas to the oil and gas sector. “Both of us really set out to capture the excitement of running an ambitious company that would bring new ideas to a conservative industry,” says Ann. Soon the duo signed their first client – a contract worth £1m in India – and they knew their instincts were spot-on. It’s a joy and a privilege to go to work every day and have my family around me, nothing beats it. The company scaled quickly, hiring 35 team members in 12 years, with Howard and Ann firmly at the helm. Between 2012 and 2016, they clocked up an impressive 500% year-on-year growth with a reported turnover of £18.6m in 2016. The Johnsons felt that they could maintain this growth without external investment, so they reinvested their healthy profits back into the company. Blaze went on to win big contracts in the renewables and mining sectors. But for Ann, the real achievement was building a exceptional team. “We stay ahead of the competition in terms of innovation, but it’s the people who come together to make it all work. Without them, we’d have no company, simple as that,” she says. Today, the Johnsons’ two sons are now firmly part of the business. “It’s a joy and a privilege to go to work every day and have my family around me, nothing beats it,” she says. The company’s rip-roaring growth took a nose dive in 2016. The downturn in global oil prices hit every company involved and Blaze was no exception. Ann saw competitors making redundancies, cutting investment, and even shutting up shop. It was turbulent times for the Johnsons. Industry reports reveal that jobs supported by the UK oil and gas sector fell by 120,000 in 2016 alone. Ann and Howard were committed to keeping Blaze afloat and did not make a single redundancy. But they knew if Blaze were to have a future, they would need to diversify and tailor their systems to other sectors. “The downturn was brutal but we couldn’t give up. To move forward we had to take risks. We funded our own innovation so we could improve our offering and stepped into different markets,” she says. The risky strategy paid off. Today Blaze has branched out into renewable energy, mining and other commercial and industrial sectors. The company’s latest turnover is £5.6m and is set to grow by 20% this year. Blaze was named The Federation of Small Businesses’ Scottish Family Business of the Year in 2018. Howard and Ann were also shortlisted in the EY Entrepreneur of the Year Transformational Leader category, and Howard has been shortlisted for an Industry Leader award at the Press & Journal Gold Awards. In 2017 Blaze was named as one of the top 1000 UK Companies to Inspire by the London Stock Exchange and joined the ELITE community of companies. “Blaze has been our life and soul for more than a decade and I firmly believe that our success against all odds has been down to the people who work for us,” says Ann. ELITE is London Stock Exchange Group’s international business support and capital raising programme for ambitious and fast-growing companies.